Korte Zilverstraat 7, 8000 Bruges, Belgium. Hotel Van Eyck is centrally located, overlooked by the wonderful Bell Tower in the heart of Bruges, ideal for access to all historic sites of interest in Bruges as well as 2 minutes walk from the main shopping streets. It is an 18th Century Hotel, with some pleasant Art-Nouveau elements added in the last century. 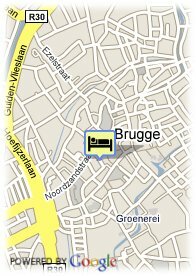 Hotel van Eyck has eight rooms at its disposal. Children less than 12 years and more than 5 year(s) old: 20.00 € for each additional bed. 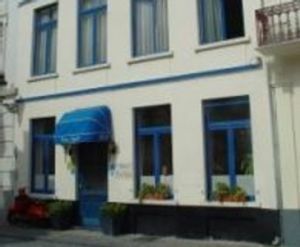 Situated in a very quiet street in the very heart of Bruges, near to the shops.